We are proud to have won the World Federation of Rose Societies 2018 Award of Garden Excellence. The Queensland State Rose Garden in historic Newtown Park, Toowoomba commenced in 1999. Three enterprising businessmen approached the Toowoomba City Council (currently the Toowoomba Regional Council) with a Tourism Growth Plan. The plan focused on transforming a section of Newtown Park into an International Standard Rose Garden. The proposed rose garden would, with careful planning and care, display rose blooms nine months every year for all to enjoy. As well as allowing this unique, historical 30 acre park to continue as "A Breathing Space for the People". The plan also outlined a "Not for Profit Group" to be formed with the intention that "The friends of the Queensland State Rose Garden in Newtown Park" would work under the Council and together with the parks & recreation staff. The friends of the Queensland State Rose GArden in Newtown Park, would be responsible for fundraising to assist with the set up expenss and for all future developments in accordance with Toowoomba Regional Council. The first major section of Stage 1 was completed using funds raised and in-kind donations totalling $1.25 million. All labour work by businesses was donated in-kind. In 2001, the first 500 roses were planted and the official opening was celebrated with over 500 official guests, citizens and contributors in attendance. Fundraising and further developments have continued enabling a carpark to be constructed, as well as paths, toilets, seating, gazebos, plaques and signage to make a safe, educational environment for all to enjoy the roses. Each year the rose gardens have continued to expand with new beds being allocated to specific colours and varieties. Swags have now been erected for climbers and metal structures for pillar roses. There are now approximately 2,000 roses growing in Newtown Park and we pride ourselves in having the largest number of collections. The Queensland State Rose Garden houses a large collection of rose varieties. The rose gardens began with multiple plantings of Hybrid Tea and Floribunda roses, dedicating special colours to individual beds. Climbing roses were then planted to grow on the swags and archways, with white standard Floribunda underneath. Pillar varieties grow through the special structures created for them. The Heritage Rose Garden bed was planted with one hundred and eighty roses which were introduced before the year 1900, paying homage Empress Josephine who collected roses from around the world. Rose varieties consist of Bourbon, China, Polyantha, Portland, Regosa and Hybrid Perpetual. These heritage roses have proven successful with their spectactular display in Spring which will continue to improve as they grow older. David Austin and Hybrid Musk roses are planted around and close to Rose Cottage. Each year the gardens have expanded and there are now approximately 2,000 roses growing in the Queensland State Rose Garden. Due to the amount of interest and so many rose enthusiasts in Toowoomba and surrounding areas, the Queensland State Rose Garden is assured to be a central place to meet, discuss and research the general performance of different rose varieties. It is our intent to continually develop new collection areas for the roses. Each collection will be allocated a specific area and the following collection will be allocated a specific area and the following collections are planned for this financial year. The Queensland State Rose Garden is honoured to be chosen as a custodian of part of the Ruston Collection. The Toowoomba Regional Council has supported the Queensland State Rose Garden in Newtown Park by contributing $230,000 to build two garden beds, install irrigation, lighting, signage and seating for this collection. Work is currently in progress with the intent to complete these gardens early 2017 for the arrival of the plants. It is our intention to plant up to 100 different varieties, including 200 plants (ie. 2 of each variety). This collection will comprise mostly Old Tea, China, Noisette, Early Hybrid Tea, Pernetiana and Polyantha roses. Preserving these varieties is essential for the overall history of the rose and its breeding and for the long term survival, both nationally and internationally. Some varieties are unique to Australia and others have been lost to overseas collections. With the strengthening of quarantine restrictions worldwide, it may be impossible to swap bud wood/cuttings with other countries so the roses in the original collection must be saved. Frank Riethmuller, an Australian Rose Breeder, was born locally in Glenvale (now a suburb of Toowoomba) in 1884. A garden bed in his remembrance has been established. Ten varieties have been propagated by a descendant of Frank Riethmuller. To our knowledge, this will be the largest collection of different Riethmuller varieties to be found in a public rose garden anywhere in the world. Titian is one of his most popular rose breeds which received a Gold Medal. The medal is housed at the Toowoomba Art Gallery. This collection will complete Stage 2 of the Queensland State Rose Garden. Members are fundraising to complete this garden before the end of this financial year. This garden will have an abundance of beautiful blooms and will be a striking feature along busy Holberton Street. It will comprise of an obelisk, timber arbour for the taller growing roses and walk through pathways. The Queensland State Rose Garden also provides a service in the promotion and development of new roses by conducting trials for Australian breeders and for agents of overseas growers. The Toowoomba rose trials are the only trials in Australia outside of Adelaide. These trials require three plants of each variety to be assessed over two years. There is a team of competent assessors who assess each plant, twelve times over the two years. The plants are scored according to specific criteria. According to the results, some may be allocated gold, silver, bronze or highly commended medals. This information allows commercial growers in their decision making to select varieties for propagation and distribution. Producing new rose varieties for distribution takes around ten years. The Queensland State Rose Garden plays an integral part in helping the rose growers in developing new varieties. Our 2017 plan is to establish new rose beds to house any gold medal winners from the Australian bred roses. With the permission of the grower the roses will be planted in these new beds, un-named until registered. It is our intention that within a few years, the three new beds will hold newly developed Australian bred roses. We pride the Queensland State Rose Garden with exceptional signage. All signage has been recently upgraded to include the rose variety common name, initials, variety, position in the garden bed and the year of release. Every garden bed has appropriate signage situated at the edge of each bed. The signs are designed using stainless steel materials and engraved for ease of reading and durability. The signs ensure the public are aware of the beauty and importance of each and every rose. Regular classes are held at the Queensland State Rose Garden for the community to attend. These classes educate the public in correct pruning techniques and how to care for their own roses, producing the best possible plants. Tours of the Queensland State Rose Garden are led by The Friends of the Queensland State Rose Garden in Newtown Park and education speeches held at times to promote the Trial Gardens and up-coming varieties of roses. The Queensland State Rose Garden has been built to minimise maintenance and maximise efficiency. Each garden bed has pre-installed underground watering systems and heavily mulched above ground. A team of workers from the Toowoomba Regional Council Parks and Recreation Branch are assigned to maintain these gardens and The Friends of the Queensland State Rose Garden in Newtown Park also assist with ‘dead-heading’ and pruning of the roses. The hall which is called ‘The Rose Cottage’ is used on a regular basis by Garden Groups, Darling Downs Rose Society, Toowoomba Bonsai Group, Toowoomba Floral Art Group and members of Queensland's State Rose Garden in Newtown Park Toowoomba. The public also hire the hall for private functions. A range of seating choices have been strategically placed throughout the park to maximise viewing and general enjoyment of the different varieties of roses. Open and covered seating options are available to accommodate visitors during all weather conditions. All seats are chosen to enhance the aesthetics of the Queensland State Rose Garden and promote the beauty of the roses. Facilities to improve public convenience have recently been constructed ie. Carpark, Barbecues, Toilets and a Wedding Gazebo. The carpark was built to enable the public easy off street access to the Queensland State Rose Garden. Future plans are to extend this area. Public Toilets including wheelchair access were built for 24 hour convenience. The Wedding Gazebo is used by families to celebrate special occasions. Barbecues, tables and seating are scattered throughout the Queensland State Rose Garden for community use. The Friends of the Queensland State Rose Garden in Newtown Park are excited to participate in community events, such as the Carnival of Flowers. In 2011 the Queensland State Rose Garden won the Grand Champion Float which featured an abundance of fresh roses which stimulated public interest and enthusiasm towards roses. Many different events are held at the Queensland State Rose Garden, where everyone is welcome to participate or simply take time to enjoy the roses. 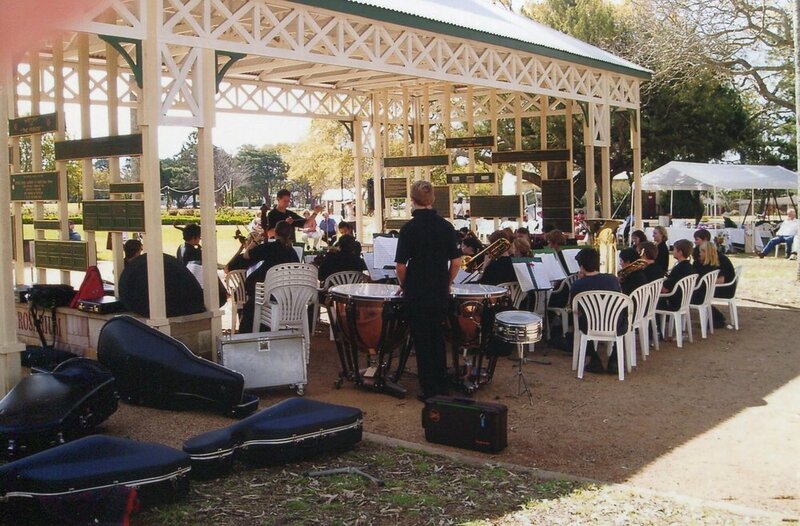 Events such as Weddings, High Teas, Mother’s Day & Father's Day BBQ’s, Live music shows, Fashion Parades, Fairies in the Park, Community Events ie ANZAC Day Services, Rose Garden Dinners and Birthday Parties are events regularly held at the Rose Garden. 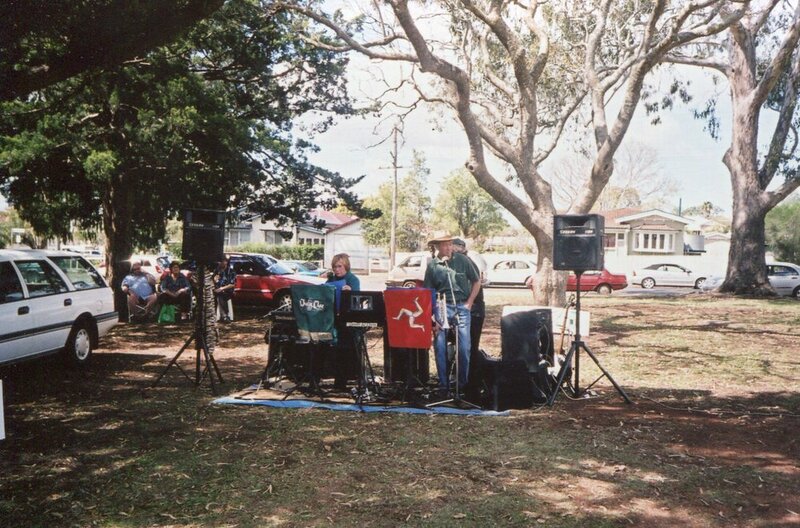 In 2013 Newtown Park celebrated its Centenary. Celebrations were held in the Queensland State Rose Garden with over 3,000 people attending to enjoy the park and the roses.